Landon Randall is an Investment Adviser Representative at Oxford Retirement & Estate Planning, Inc. (OREP). He specializes in providing financial planning and guidance for those who are seeking a better lifestyle in retirement. Prior to working at OREP, Landon served for six years in the U.S. Navy as a helicopter crew chief. 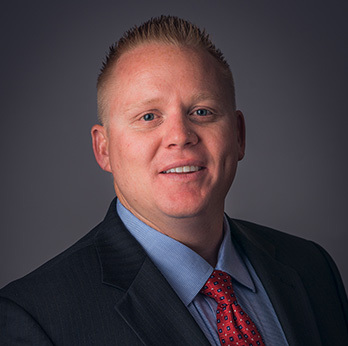 In 2007, he moved back to Arizona and began his career in the financial service industry, working alongside Michael Oxford, president and owner of OREP. In addition to being an Investment Adviser Representative, Landon holds life, annuity, health and disability insurance licenses. His areas of experience include Social Security optimization, investment management, retirement strategies, income planning, estate conservation, annuity strategies and insurance strategies. During his career in financial services, he has helped hundreds of individuals and couples create retirement plans where their assets are appropriately positioned to suit their personal financial needs. Landon also puts a strong emphasis on education and holds several adult financial workshops at the local community colleges on retirement planning and Social Security optimization. He offers follow-up complimentary coaching sessions for all who attend his workshops as well as complimentary consultations to those individuals who have not attended a workshop but would like a personal one-on-one meeting. His main objective is to help those who are nearing retirement make informed financial decisions. Landon resides in Peoria, Arizona, with his wife, Jamie, and their two children, Sofia and Mitchell. Jamie is currently serving in the U.S. Air Force, and their children are aspiring professional soccer and football players. When he is not working, Landon enjoys traveling to his children’s soccer tournaments and football games. OREP is not endorsed by or affiliated with the Social Security Administration or any governmental agency. These educational workshops are not endorsed by or affiliated with any college. The team behind Oxford Retirement is made up of qualified financial professionals who are passionate about helping individuals and families achieve their ideal retirements.